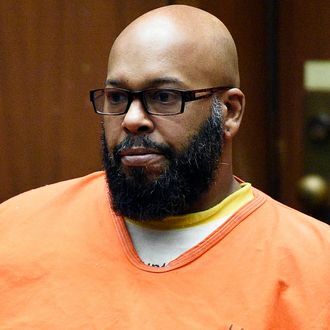 A Los Angeles County grand jury has indicted Marion “Suge” Knight on one felony count of making criminal threats, reports TMZ. The record producer allegedly threatened Straight Outta Compton director F. Gary Gray through text message with a “crime which would result in death and great bodily injury.” According to reports, Knight was angry with Gary over actor R. Marcos Taylor’s portrayal of him in the movie, which included erratic, violent behavior and showed Suge threatening Dr. Dre’s former N.W.A. associates. The message allegedly was sent in August, 2014, a few months before Knight was charged with murder and attempted murder after a fatal hit-and-run in a parking lot in Compton, California. Knight is set to face trial on those charges in January, 2018.